Arthur A. Levine Books, 9780545234672, 24pp. A gift book that's a gift book - for very young picture book readers, with a warm Helen Oxenbury feel. 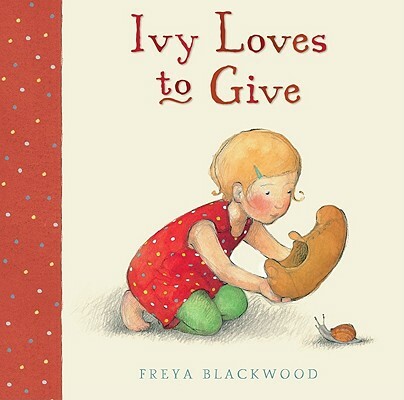 And Ivy finds that sometimes it's hard to give BACK something you've borrowed and fallen in love with. But in the end, everyone is matched up with the right present, Ivy gets to keep the thing she likes best, and gives her sister the best gift of all: a big, warm hug! Scotland native Freya Blackwood grew up and currently lives in Orange, NSW, about three and a half hours west of Sydney (Australia). Creativity is in her blood. Her mother, Kay, is a painter and jeweler, and her father, John, is an architect. As her grandfather was also a painter, there was ample influence and encouragement in artistic pursuits as she grew up.